Discussion in 'Baja Designs' started by Baja Designs, Aug 17, 2016. This is a Baja Designs (BD) General Discussion Thread! Please post up! This includes any questions or comments related to LED Auxiliary Lights, LED Light Bars, and HID lighting. We are happy to help! Do your lights make me better looking? Only when standing behind them. JeepMafiaMama, JKBob 25 and Bob like this. @chris4x4 ...you have those pics of your Baja lights vs stock? I think I do. I'll have to find them. They were Baja Designs, vs. KC, vs. China vs. Vision. We are still offering 10% OFF any Baja Designs (BD) product. All you have to do is call (800)422-5292x114 to receive the discount. Let us know if you have any questions. If you were at Easter Jeep Safari, post some pictures! We had a great time with Bestop at the event. You might wanna shower and shave first. Just saying. Lol. Baja Designs [OP], chris4x4 and Bob like this. "Baja Designs......because even Chuck Norris needs light sometimes...."
JKBob 25 and Baja Designs [OP] like this. 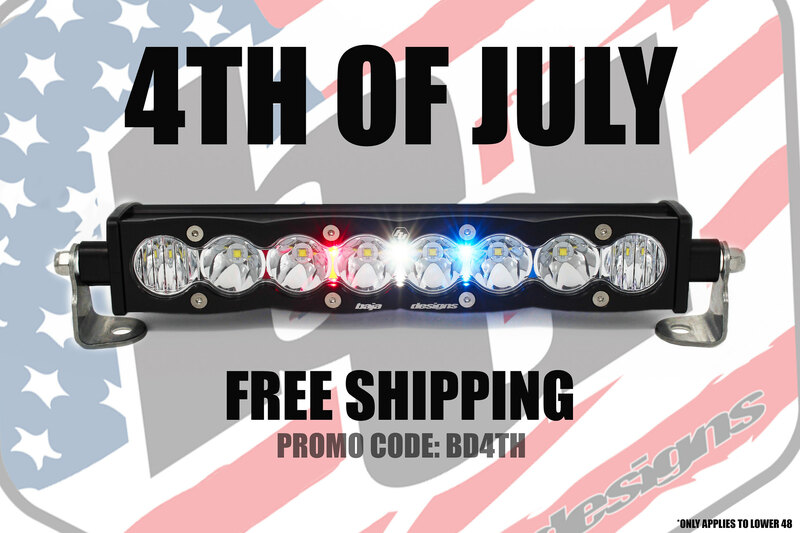 We are offering FREE shipping to the Lower 48 if you call (800)422-5292x114 to order! Thank You for all of the continued support! We really appreciate it! Rc Jeep, JKBob 25 and chris4x4 like this. Free shipping and 10% OFF MSRP! Call (800)422-5292x114 today. I'm hoping to pull some funds together before then! Baja Designs [OP] likes this. 25 years ago, Baja Designs was founded with a passion and thirst for off road. Performance driven, race tested, Baja proven - Baja Designs engineers and manufactures American made products, using only the best components available, right here in San Diego, California. Enthusiasts know that BD provides the highest quality and meticulously crafted LED lights on the market today. The world's top off road drivers stand by our products for a reason - because they get you home safe – and fast. With off road LED lighting solutions that are second to none - it is no surprise that Baja Designs has become known world-wide as The Scientists of Lighting. COME CELEBRATE WITH US! WE ARE BRINGING THE COMMUNITY TOGETHER TO HAVE SOME FUN AND CELEBRATE THE HISTORY AND PROGRESSION OF BAJA DESIGNS. WE WILL HAVE A VARIETY OF CUSTOM AND FULLY BUILT VEHICLES ON DISPLAY FROM OUR SPONSORED RACE TEAMS AND PARTNERS. IN ADDITION, WE WILL HAVE VENDOR DISPLAYS, FOOD, DRINKS, A CHARITY RAFFLE, A HUGE NEW PRODUCT ANNOUNCEMENT, AND MORE. Many of us know that traveling in groups can create lots of dust. 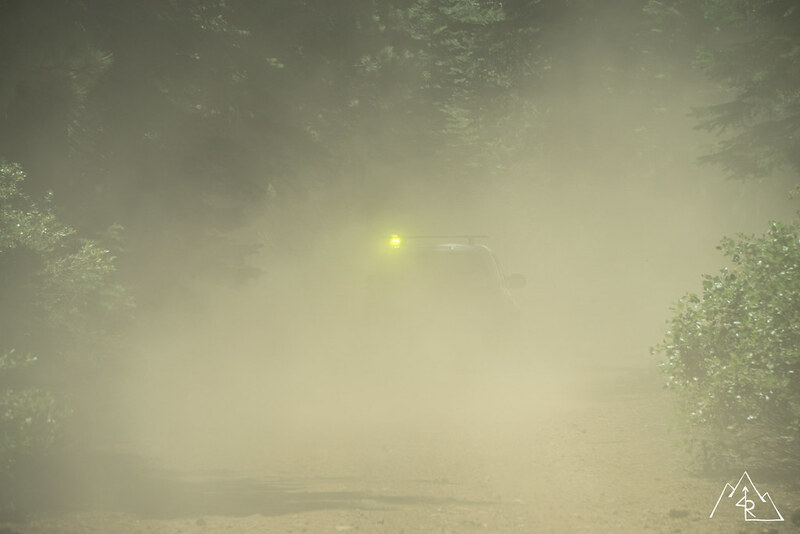 This creates very poor visibility and can sometimes result in minor fender benders or collisions on the trail. Here is a perfect example of our S2 Series Auxiliary Lights in the Amber Spot pattern as a Dust/Safety Light. While the vehicle is mostly hidden the S2 Pro, Amber Spot shines through allowing you to easily detect the vehicle ahead. This can also be very beneficial in other poor conditions like fog, rain, and snow! Call today and save 10% off MSRP !!! OFFGRID, Rc Jeep, aggrex and 1 other person like this.